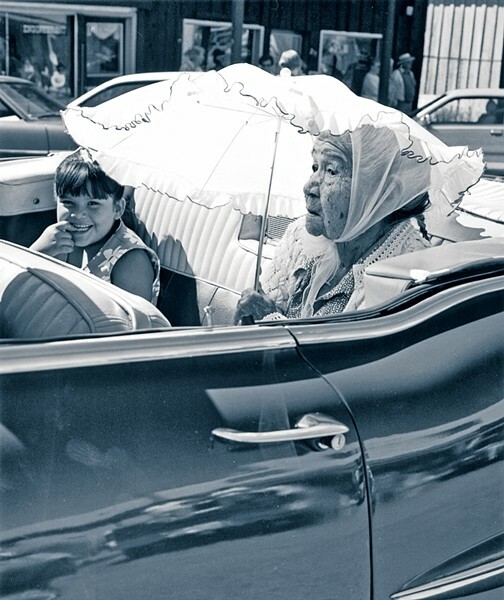 Dugan Aguilar's photography exhibit, She Sang Me a Good Luck Song, runs through July 15 at the DANA Adobe Cultural Center. The center is located at 671 S. Oakglen Ave., Nipomo. More info: (805) 929-5679. Liz Aguilar has become comfortable talking about her husband and his visionary photography. A LIFE IN PICTURES Dugan Aguilar devoted his life and work to documenting Native American people. Aguilar, a Vietnam Veteran who is Mountain Maidu/Pit River/Walker River Paiute, also worked as a photographer for News for Native California. She has been married to photographer Dugan Aguilar for 44 years, a fact that still makes her smile proudly and laugh as she describes his long history of documenting Native cultures in California. It's something she has to do, since her husband, now fighting Alzheimer's, Parkinson's, and diabetes, isn't able to give many interviews anymore. A Native American himself (Mountain Maidu/Pit River/Walker River Paiute), Dugan has documented Native American people and their lives in and around California for more than 40 years. A curated collection of his work called She Sang Me a Good Luck Song can be seen in a new traveling exhibit, featured at the DANA Adobe Cultural Center through July 15. The exhibit is based on a book of the same name by Dugan, published by Heydey Books. Dugan's work has been published worldwide and seen in exhibits in the United States and in Europe. For 30 years, he was the staff photographer for the California Indian Basketweavers Association and the California Indian Storytellers Association. He also worked for News for Native California, a publication put out by Heydey Publishing. CAPTURING A GENERATION Dugan Aguilar's photographic exhibit, She Sang Me a Good Luck Song, includes work curated from nearly 40 years of his life spent documenting California Native Americans. "He did a lot of work for a publishing company in Berkley, Heydey books," Liz said. "The publisher really admired his work. As Dugan got a bit older and wasn't doing photography as much, the publisher wanted to do a book—a retrospective of his work, going back 40 years. So we got an editor and they went through lots of years of his work." Liz said her husband's interest in photography started when he was beginning college, but he had trouble getting into the photography classes offered in junior college. Eventually he began working at the Desert Research Institute, which afforded him access to photography classes. But it wasn't until he and his wife's journey to Yosemite that he fully began to immerse himself in the art. "He really got into it one summer when we went to the Ansel Adams workshop," Liz said. "He admired the other photographers so much and soon started taking a lot of photographs." 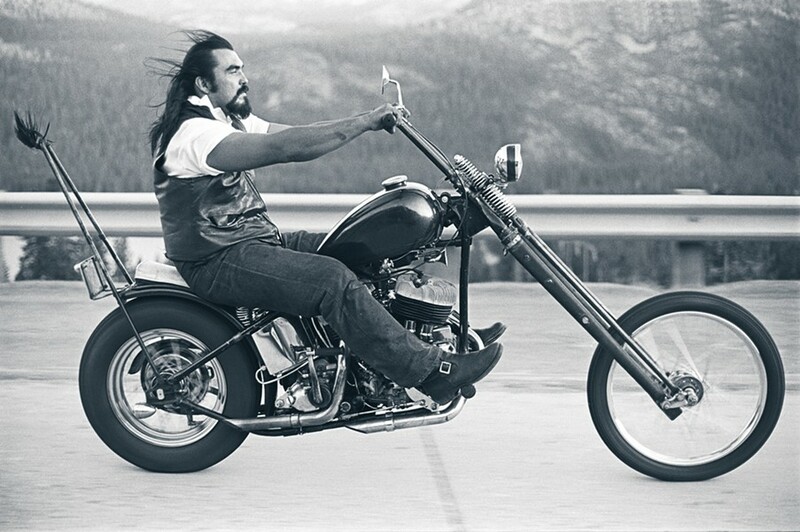 Dugan often said that he felt the California native population was not only underrepresented in pop culture and media, but often misrepresented. Liz said he wanted to show them as he knew them—vibrant, yet un-romanticized. "He really felt that the California natives didn't have enough documentation and enough of a current voice," she said. "That's what he was interested in. ... 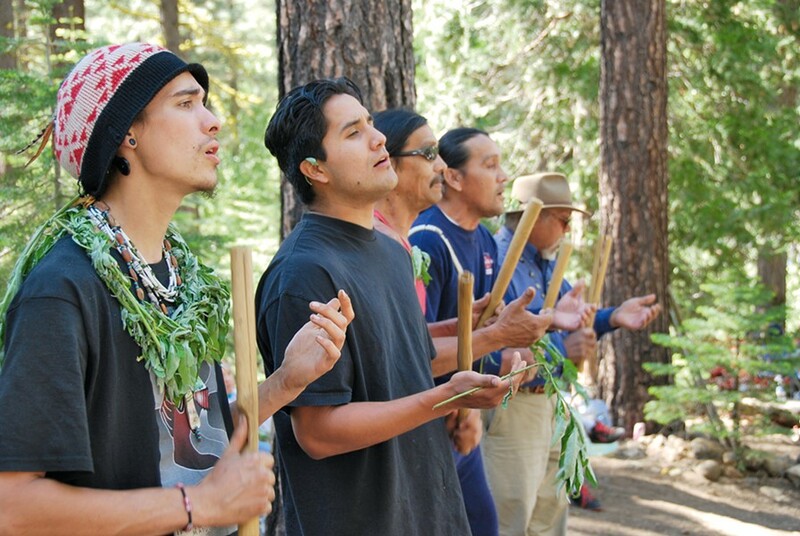 He found that Native American culture in California was so rich." Liz said that what her husband liked to take pictures of most were Native American faces. Dugan did do some landscape work, she said, but he thrived as a portrait artist. "He just knew everybody," Liz said. "He was quiet. He gave people the option to be in his work. Even at an event, he would give people a sticky dot to put on their name tags if they did not want to be photographed. He felt that it was a gift from them to let him photograph them." The photos in the exhibit show the unique intimacy Dugan enjoyed with his subjects. There is a dutiful patience in each shot that almost makes it look easy. But these are powerful moments that require long periods of study and self-restraint. It's instantly obvious how passionate Dugan was about telling a better, more accurate story of California's diverse Native community. It's impossible to come away with anything other than a newfound understanding of how cultures intertwine with their changing social and physical landscapes. The title of the exhibit, She Sang Me a Good Luck Song, was taken from an experience Dugan had while documenting an event. Dugan had asked an elder if he could take her picture. SHARING THEIR STORY Dugan Aguilar was a quiet and respectful photographer who never forced anyone to be in pictures against his will. "He felt that it was a gift from them to let him photograph them," his wife, Liza Aguilar, said. "She said, 'First, let me sing you a good luck song,'" Liz said. "And she him a song in her native language for good luck in taking pictures. It was a blessing." It's been three years since Dugan was able to hold a camera and take photographs, a fact his wife somberly shared. Parkinson's has made it impossible to hold a camera, and diabetes caused him to have vision troubles. Liz said it was difficult for the lifelong shutterbug to come to terms with that, but he still is focused on the message of his work. Sun Arts and Lifestyle Writer Rebecca Rose wishes everyone good luck. Contact her at rrose@santamariasun.com.